There is always a reason to celebrate life in Denton, Texas. For this growing city that’s part of the recent boom of northern Texas communities, residents of Denton enjoy being part of a close-knit community, their two local colleges, their eclectic artists, vibrant downtown, and expressive music scene. 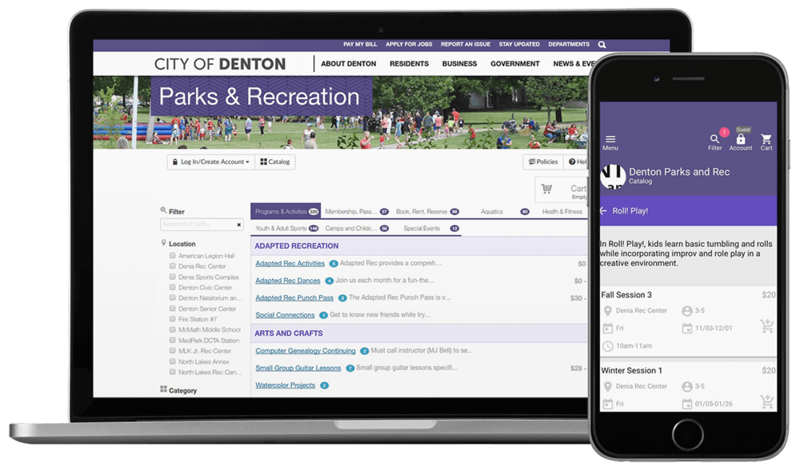 The residents of Denton had a new reason to celebrate recently when their city’s Parks and Recreation Department launched new recreation management software. 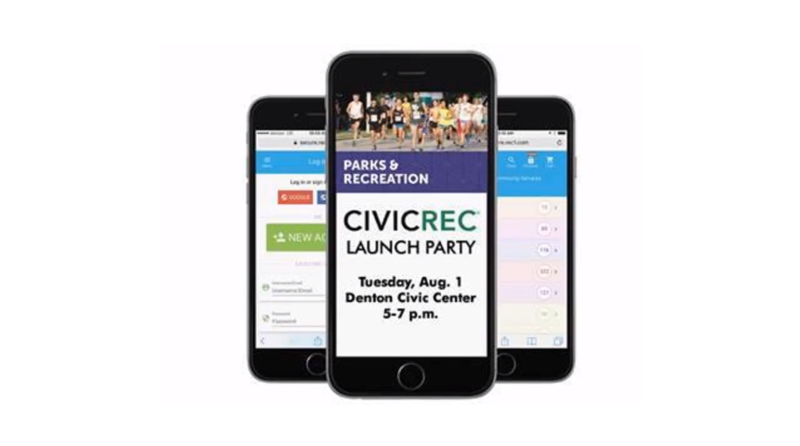 For a community that had previously utilized an outdated, cumbersome, difficult to navigate parks and rec platform, the launch of the CivicRec® parks and recreation management software from CivicPlus was a welcome launch into the twenty-first century, and a reason to celebrate with a community-wide launch party. According to Caroline Seward, CPRP, City of Denton Parks and Recreation Program Area Manager, despite having a population of residents that wanted to take part in community activities, it was difficult to manage promotions, communications, signups, and logistics for all the community’s events due to the outdated parks and rec software solution the City was reliant upon. “Our citizens have always been engaged, but we faced challenges because we didn’t have the best online platform to encourage citizens to register,” said Seward. While the City’s previous software system did allow citizens to register for programs and activities online, it didn’t allow citizens to reserve available facilities, such as park pavilions or cabanas at the City’s wave pool. The system was also not robust enough to manage the documentation and paperwork needed for the city’s summer camps, which meant recreation staff was managing those programs manually using paper-based systems. It was evident to Seward and Heather Gray, Athletic Manager, that the City of Denton had outgrown its previous parks and rec management solution. Not only was Denton in need of a more user-friendly, robust solution, Seward and Gray were notified that their previous parks and rec software would no longer be supported. To begin the process of finding a replacement, the City issued a request for proposal (RFP) to find a new partner. After an analysis of the received proposals, a single solution provider was evident. Seward and Gray used the CivicRec implementation as an opportunity to refine their internal processes to ensure they were working as efficiently as possible. Seward and Gray also used the transition to CivicRec as an opportunity to train more members of their team to use the software. When the setup and training of the CivicRec software was complete, it was time to party. The City of Denton celebrated its launch of a modern parks and rec software with a community-wide party. Community members were invited to stop by the parks and rec department to tour the new software, create new accounts, and learn how to sign up for classes and reserve facilities. According to Seward, the party’s theme focused on the launch of CivicRec as an effort by the City’s Parks and Recreation Department to launch into the twenty-first century. Today, the citizens of Denton are pleased to have access to a modern parks and rec management software. Seward and Gray also list CivicRec’s family calendar and account history among the most valuable citizen features. In addition to offering conveniences for citizens, the CivicRec system provides insights and access for class instructors who are now able to view their class lists online before the first class session. From an administrative perspective, CivicRec has also allowed the City’s Parks and Rec department to streamline the management of its required paperwork. CivicRec’s ability to integrate with the City’s financial system has also been a significant time-saver for the City’s parks and rec staff members. In addition, Seward and Gray point to such additional time-saving features as social media integration and the ability for citizens to renew fitness registration or pool memberships online as functions that allow the City’s parks and rec staff to save time while giving citizens better access to the modern features they wanted. The quick adoption of the CivicRec software by Denton citizens has reassured Seward and Gray that CivicRec is the right long-term solution for the City. Not only is the City of Denton comfortable that they have chosen the right software, they are comfortable that they have chosen the right partner. If you're ready to retire your outdated parks and rec software and launch a modern, functional solution to better engage citizens in our community, click below to sign up for a demo of our CivicRec solution.